The human touch is powerful. We yearn for it, and incorporate it daily into our lives, whether we mean to or not. It has a profound impact on how we feel, and in my opinion, dance is a portal to using that impact intentionally. To the outside eye, partnership dancing can be a way for people to get closer together, physically. The difference between those who are on the outside versus those who are taking lessons is this; we do not choose to dance in order to get closer to people and get in their personal space. Rather, we choose to dance with others to understand how to get closer to others, how to make physical contact with others, and how to connect while keeping all the right intentions in mind. Lovers hold hands, children hug their parents- I can name countless ways in which people have a physical connection on a day-to-day basis. But in dance, we highlight, with great attention to detail I might add, how we hold hands, and in all the ways that we are able to hold hands, and how we can dance successfully in unison together. In an age and time where we are swept up in the chaos and schedules of our own lives, I find that dance gives us the greatest excuse to reach out and connect with each other. Being able to have 2 bodies moving together to music and have it not be inappropriate or uncomfortable, is, in my opinion, a wonder and a science. In the art of leading and following, I break it down to the following 2 ways to communicate with your dance partner without words; 1) visual cues, which I feel make up about 40% of leading/following, and 2) physical connection leads of resistance, push/pull, and more, which truly make up the magic of dancing in partnership. 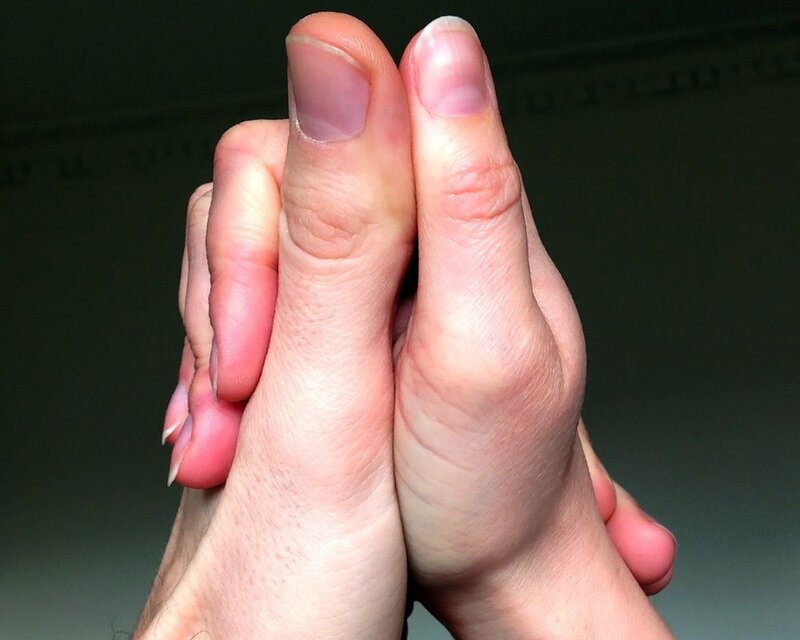 As a dance teacher, I like to take a lot of time working with people on how to connect with one another and feel each other, simply through the palms of our hands. For instance, when one partner leads the other into a turn, they both must understand how to adjust the way they are holding each others’ hands in order to make it work. Whether this is in a lesson or on a social dance floor, this for me is one of the truest examples of teamwork. Both the lead and follow must physically connect in order to communicate through the body effectively, so that they can have an enjoyable dance together. One of the best parts is that in working with the science of human touch through dance, people are able to dance with ANYONE! You can dance with people you know, or a complete stranger on the dance floor- as long as both lead and follow understand how to not only touch each other with knowledge and respect, but also how to connect and understand each others’ movements, a partnership dance can happen. Let us give ourselves the chance to connect more, let our motor neurons do the work, and enjoy the dance together. Visit my other “Why We Dance” blog posts to get more insight into the benefits of dancing, and contact me via my website at leahboresow.com to get started with your dancing today!